offered at his clinic located at 73 Rue Defacqz 1060 Bruxelles Belgium for men and women with hair loss and baldness. FUHT or follicular unit hair transplant is still the world's most popular hair transplant procedure performed by physicians nowadays. 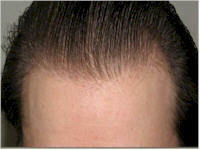 This technique is commonly referred to as strip procedures because donors are extracted by means of a linear strip in the back of the patient's scalp. Despite the recent surge in demand for FUE, strip procedures are still very much the preferred technique chosen by many doctors and patients for its various benefits. Strip is a very effective procedure that allows the surgeon to harvest the maximum number of donor follicles in a given session. Another advantage of strip technique is that it is generally less expensive than FUE procedures and also takes less time to perform. Even though many doctors nowadays claim that they offer both strip and FUE, in reality the vast majority specialize in one or the other, not both. The two techniques are dramatically different in nature. It is quite difficult for any doctor to be able to master both techniques equally well. Dr. Mwamba is one of the very few doctors in the world who are truly experienced and well versed in both strip and FUE techniques. To better serve his patients, Dr. Mwamba understands that he must keep up with the technologies and master all the different techniques and aspects of hair loss. He believes that strip and FUE complement each other and serve different needs for the patients. When doing your research, don't simply trust what the doctor or clinic advertises to you. A lot of doctors and clinics make claims that are rarely substantiated. Always demand to see extensive documentation of patient results. When it comes to hair transplants, experience counts more than anything else. 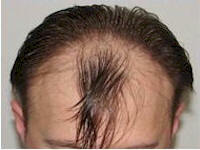 Below is an example of Dr. Mwamba's highly acclaimed FUHT strip hair transplant work.